Burton August, trustee emeritus at Rochester Institute of Technology, died March 18. He was 100 years old. The RIT flag will be flown at half staff on April 5 in his memory. Details for a Celebration of Life ceremony are forthcoming. Mr. August was a valued donor of the university and served on several committees including RIT’s Development Subcommittee, Endowment Committee, Finance Committee, University Relations Committee, Campaign Steering Committee, Executive Committee and Emeriti Trustees Ad Hoc Committee. The August Center contains RIT’s student health center and counseling center. Most recently, the August Family Atrium was dedicated which is located in the Clinical Health Sciences Center, the new home for the clinical programs in the College of Health Sciences and Technology, the Wegmans School of Health and Nutrition and a primary care clinic run by Rochester Regional Health. In addition to his support of these facilities, Mr. August was a dedicated supporter of various scholarship funds, student life facilities and RIT’s unrestricted fund. Mr. August was awarded the prestigious Nathaniel Rochester Society Award and the Herbert W. VandenBrul Entrepreneurial Award, with his brother, Chuck; an honorary doctorate from RIT in 1995; and the Volunteer of the Year recognition in 2006. After he graduated high school in 1933, Mr. August worked for his father and uncles at their clothing company, August Bros., manufacturers of topcoats and overcoats. With the subsequent demise of his father’s business, Mr. August applied for a job with clothing manufacturer Michaels-Stern, where he worked his way through the company ranks. He was employed by Michaels-Stern for 33 years, eventually serving as senior vice president. In the meantime, Mr. August’s brother, Charles, had decided to purchase an auto repair franchise with his financial assistance. After leaving Michaels-Stern, Mr. August teamed up with his brother to open Monro Muffler Brake & Service franchises across the Northeast, and helped him run the organization, alongside partner Sheldon Lane. The company now has more than 1,000 stores in 25 states serving all of the Mid-Atlantic and New England states and portions of the Great Lakes, Midwest and Southeast. By the early 1980s, Mr. August retired from his role as senior vice president. The company went public in 1991 and continued to grow throughout the 1990s. Mr. August has supported the Boy Scouts of America throughout the years and, in 1984, he received the local Boy Scouts of America Distinguished Citizen Award. 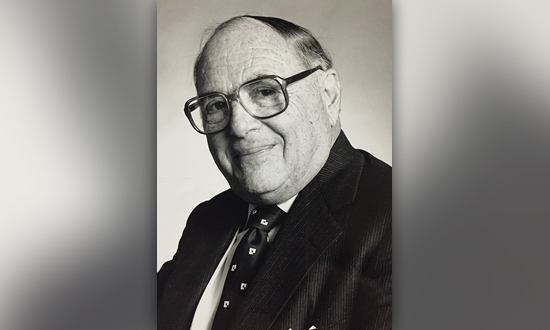 He supported the United Way of Greater Rochester Inc. for more than seven decades and previously served as president of the local organization, as well as chairman of the United Way of New York State. In 1989, he was honored with the Alexis de Tocqueville Society Award for his lifelong volunteer commitment to the organization. Mr. August also has been a major supporter of the Hillside Family of Agencies, Al Sigl Community of Agencies, the Mary Cariola Center and Unity Health System/Park Ridge Hospital, among others. The Charles J. & Burton S. August Family Foundation has served numerous organizations since its founding in 1989. Mr. August was a board member at Unity Health System for years and was instrumental in the recent capital fundraising campaign for the Timothy R. McCormick Transitional Care Center at Unity. Two major units bear the August family name: the Jean and Madeline August Birthing Center and the Charles J. The Monroe County Medical Society honored Mr. August with the 2015 Edward Mott Moore Layperson Award for his service to the community. In June 2015, nearly 200 members of the Rochester community came together to celebrate his 100th birthday and to thank him for his many contributions.